The palmarès keeps growing up. Apart from success in Switzerland, Portugal and italy, the fans will always remember the victory by Alejandro Valverde in the Tour de France atop the Col de Courchevel. At the end of the season, Caisse d’Epargne takes over as first sponsor. Zandio and Reynés cover Valverde as they ride towards the Mirador d’Es Colomer, where the team leader claimed victory in one of the stages of the 2005 Challenge de Mallorca. Mancebo and Valverde present the new Illes Balears jersey at the Balearic Government palace in Palma. 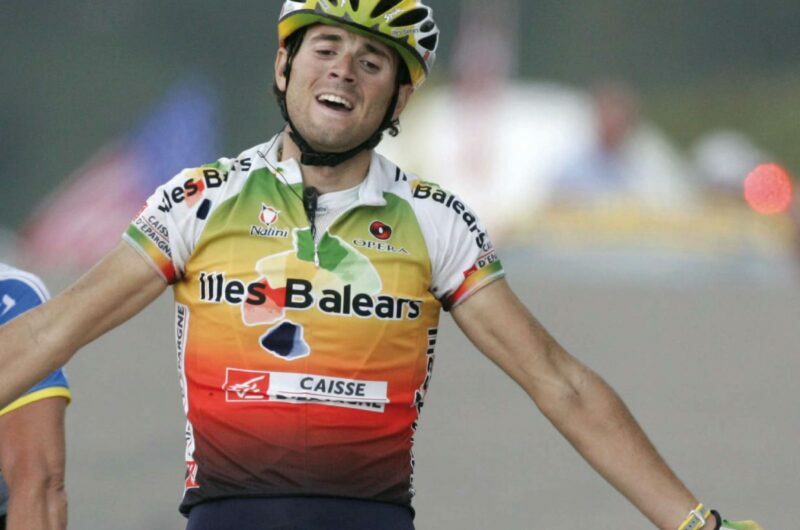 Alejandro Valverde wins in Courchevel ahead of Lance Armstrong in the Tour de France. Mancebo wins atop the climb of Ordino Arcalis in the Vuelta a España, ahead of Heras and Menchov.